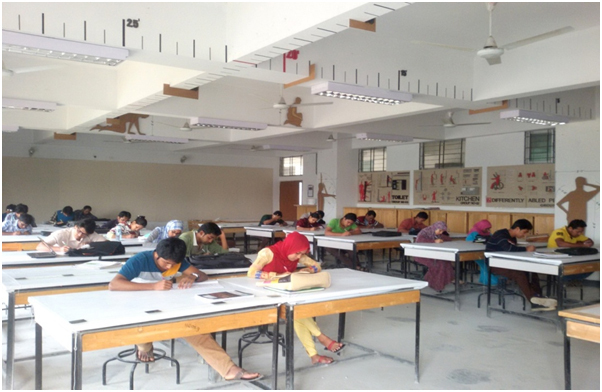 Faculty of Civil Engineering comprises of the Department of Civil Engineering (CE) and Department of Architecture. Faculty of Electrical and Electronic Engineering comprises of the Department of Electrical and Electronic Engineering (EEE) and Department of Computer Science and Engineering (CSE). Faculty of Mechanical Engineering comprises of the Department of Mechanical Engineering (ME), Department of Textile Engineering (TE) and Department of Industrial & Production Engineering (IPE). Faculty of Engineering comprises of the Department of Materials Science & Engineering (MSE), Institute of Appropriate Technology (AT), Department of Chemistry, Department of Mathematics, Department of Physics and Department of Humanities and Social Sciences (HSS). At present, 4 years undergraduate degree (B.Sc Engineering), 5 years (B. Arch) degree and post graduate degree (M. Sc Engineering, M. Engineering, M. Phil and Ph.D) are offered in the University.